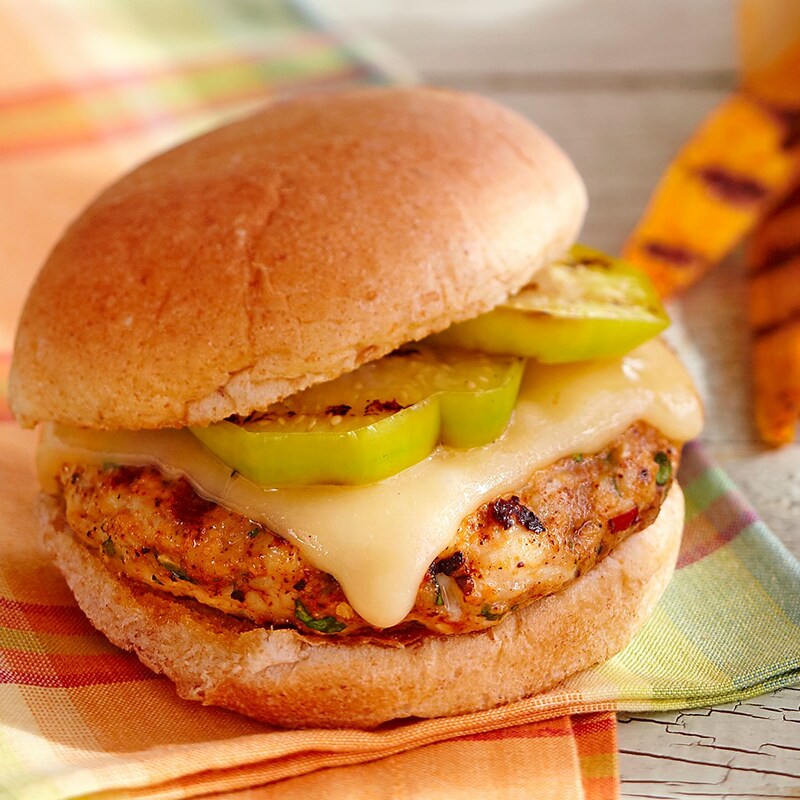 Beautiful green slices of tomatillo and melted Muenster cheese sit atop these grilled turkey burgers. A teaspoon of chopped chipotle peppers is added to the ground turkey mixture, providing just a touch of heat to these mouthwatering burgers. Serve grilled turkey burgers topped with tomatillo and/or tomato slices in buns. Tips: Because chile peppers contain volatile oils that can burn your skin and eyes, avoid direct contact with them as much as possible. When working with chile peppers, wear plastic or rubber gloves. If your bare hands do touch the peppers, wash your hands and nails well with soap and warm water. The internal color of a burger is not a reliable doneness indicator. A turkey patty cooked to 165°F is safe, regardless of color. To measure the doneness of a patty, insert a thermometer through the side of the patty to a depth of 2 to 3 inches.